David House is a 23-year-old computer researcher from Boston, Massachusetts. Since September 2010, he has been one of the few to regularly visit Bradley Manning, the soldier accused of leaking thousands of classified military documents to WikiLeaks. He has witnessed a disturbing degradation in Manning’s health. For over seven months, Manning has been detained in solitary confinement at a maximum security military brig in Virginia. He has been forced to endure widely condemned conditions and could face the death sentence as a result of charges recently leveled against him. He has yet to receive so much as a preliminary hearing. Consequently, the detainment and subsequent treatment of his friend, Manning, came as something of a shock and an awakening. He helped start the Bradley Manning Advocacy Fund and has appeared on television and radio talking about the treatment of the soldier. It has been a “very jarring” experience, he says. Last week, as part of a media conference call with Pentagon Papers leaker Daniel Ellsberg and former Judge Advocate General Jon Shelburne, House spoke at length about his experiences visiting Manning. What he described was deeply troubling. He spoke about how the severe emotional and physical deprivation forced upon Manning is taking its toll, and suggested US authorities are – by treating him harshly – trying to extract a confession that implicates WikiLeaks’ editor-in-chief, Julian Assange. It is important that the full story, as told by House, is in the public domain. In this case, a single quote as chosen by a journalist is simply not enough. Below is a transcript of House’s story, taken from a phonecall on Thursday 3 March 2011. A recording of the call can be heard here. I’ve been visiting Bradley in the brig [at Quantico, Virginia] since last September. He and I met very briefly in Boston early last year, and I went to visit him in September because there were not many people, not many friends, who were willing to do so. When I first visited him he was a very bright eyed intelligent young man, very full of life. We had many good conversations in September / October. But getting in to November something started to change, almost like a light switch had switched off or something. I thought that maybe he had just been sleeping right before our meetings or something, or maybe he was just tired because of medication he was on. But around late November his inability to really hold conversations the way he used to – the bags under his eyes under his eyes that were constant from meeting to meeting and his utter exhaustion – was really indicative to me that something was going on. David Coombs [Bradley’s lawyer] and I talked a little bit in early December, and later that month I went to see Bradley – in late December – and asked him about his confinement after news had came out via Glenn Greenwald and Salon.com that he was indeed being held in solitary. And I hadn’t really pressed Bradley before that point on his conditions – again, I guess my naiveté assuming that the US government wouldn’t stoop to these ends in order to collectively pressure an individual, a young man like Bradley. And Bradley kind of didn’t believe that this would be the statement that the Pentagon was releasing – that they were either not telling the truth or they’d had a grave misunderstanding of the situation here. Going in to January. I published that post on Firedoglake where I talked a little bit about my experience with Bradley … his conditions kept getting worse. There was some physical trembling when I visited him in late January. As I said in an MSNBC interview, there was a point at which he appeared to be almost catatonic and had very high difficulty carrying on day to day conversation. Tired all the time. He seemed to be undergoing a very obvious and very extreme decay from his former self. So for me this has been like watching a really good friend succumb to an illness or something; like watching someone get very sick. And I do not think that this is normal for people being held in confinement. I think that the conditions he is under, the POI [Prevention of Injury] order which applies a selective pressure to him – locked up for 23 hours a day, denied access to regular exercise and denied access to social interaction – I feel that this has really weighed on him to a high degree. I’ve done a little bit of learning on solitary based on this, and as you can imagine it has been a pretty emotional process. I’ve been trying to find what exactly is going on. In doing so I found closing arguments from a Guantanamo bay trial by an attorney named David Frakt, who was defending a young man from Afghanistan who was alleged to have killed two US soldiers. David Frakt, in the closing argument of his client’s trial, said that he did not believe his client had had a fair trial, or could not have been given a fair trial, because he was kept in solitary confinement. As David Frakt said in his closing argument: the purpose of the solitary confinement was to cause severe emotional devastation in his client ahead of the trial … to make him softer for the trial; to make him sign a confession or a false confession before the trial. In my opinion, I believe this is exactly what is happening to Bradley Manning. 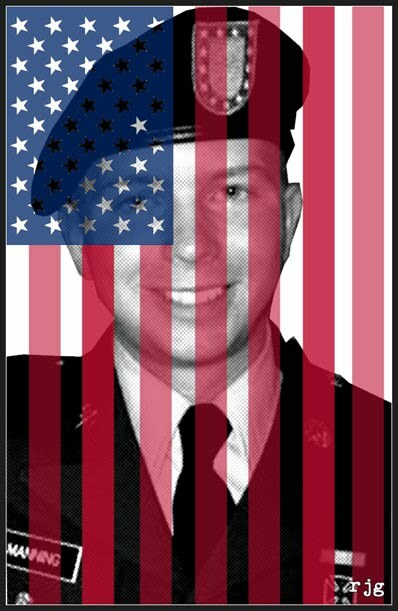 I believe that the delays in Bradley’s trial taking place, I believe the government’s selective and punitive measures on him in keeping him in solitary which is different from any other detainee in the Quantico Brig … this is all because the US govt wants to get a confession – or a false confession – from Bradley Manning. And as we have learned recently, the US government has been unable to link Manning with Julian Assange … and so this pressure, I fear, may continue, as they try to extract a false confession for him. And for those on the call who are interested, I also found the case of a man named Bobby Dellelo, who was held in supermax [at Walpole prison] under similar conditions. Bobby Dellelo was also kept for 23 hours a day, allowed exercise for one hour, allowed access to visitors and television for an hour. Bobby Dellelo developed a form of psychosis after six months in these conditions. This is consistent with EEG studies going back to the 1960s which found abnormalities consistent with brain trauma on people held in solitary confinement for six months or longer. I do not think that these are facts the US government is unaware of. And I think that Bradley Manning is being punished in this way because the US government wants him to crack ahead of his trial. For that reason I believe that his due process, his right to a fair trial, and certainly his right to a speedy trial, is being infringed upon. David House can be followed on Twitter here. You can support Bradley Manning by donating to the Bradley Manning Advocacy Fund (US) or the Bradley Manning Defense Fund (International).